At Willeri Dental our patients have access to flexible, evening and weekend appointment times at a convenient Forum Medical Center location. We offer our patients experience and expertise to care for all of their unique needs. We accept all health funds, are a HBF Preferred Provider and have HICAPS on site for instant rebates to minimise your out of pocket expenses. We even offer 10% off for seniors. Call (08) 9457 8360 or book your appointment online today. We look forward to meeting you! Ask us about our new patient offer. The new patient offer includes an exam and two x-rays. 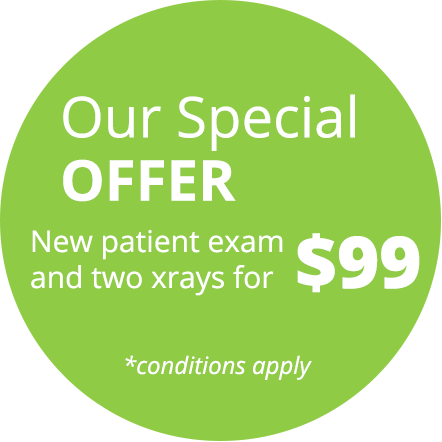 Please mention this offer to us when you call us to book your appointment on (08) 9457 8360.